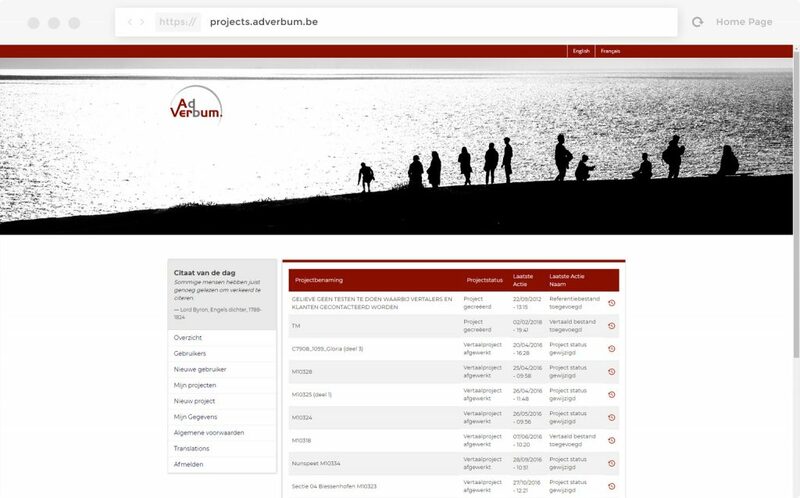 Ad Verbum’s client portal provides each registered user with a helpful tool to upload their files for translation or proofreading if they’re too big to be sent by email. All your projects are stored online for a certain time, so you and your colleagues always know where to find them. Clients can use the client portal to check what phase a current assignment is at. If Ad Verbum’s translator or proofreader has submitted a query in the course of your project, your translation may be put on hold for a little. It will then be in the ‘Waiting for client input’ phase. In many cases, background information from the client is essential for a good translation. The discussion forum linked to each project gives clients of Ad Verbum the opportunity to pass on important details, such as the target audience, the country the translation is for, the aim of the text, any internal terminology, comments, etc. Apart from that, the forum also gives our translators and proofreaders the opportunity to consult each other or ask questions and make comments. This not only means they can communicate with each other directly and effectively, but doing things this way also saves a lot of time, since no time need be wasted on writing, reading, sending and searching for emails. All information about a particular translation project is organised in one place: the project page. This makes the client portal on the website an effective tool for every day to manage and follow up translation projects in the most efficient way possible.